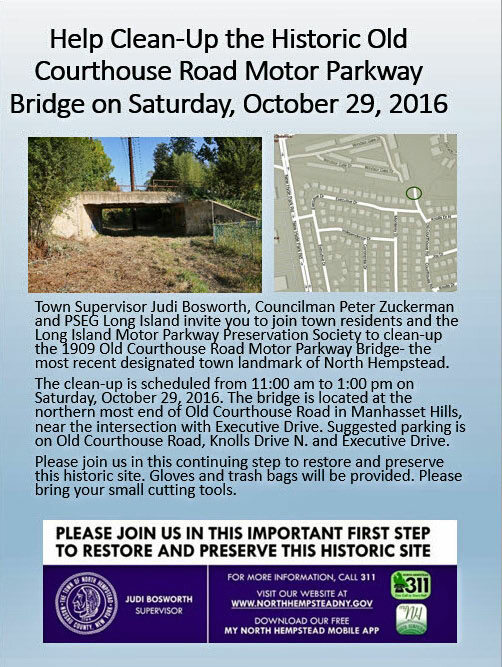 Town Supervisor Judi Bosworth, Councilman Peter Zuckerman and PSEG Long Island invite you to join town residents and the Long Island Motor Parkway Preservation Society to clean-up the 1909 Old Courthouse Road Motor Parkway Bridge- the most recent designated town landmark of North Hempstead. The clean-up is scheduled from 11:00 am to 1:00 pm on Saturday, October 29, 2016. 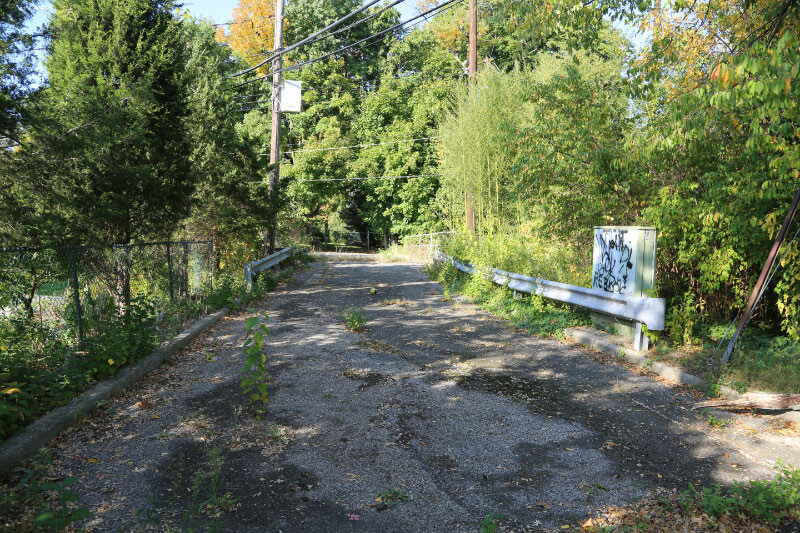 The bridge is located at the northern most end of Old Courthouse Road in Manhasset Hills, near the intersection with Executive Drive. 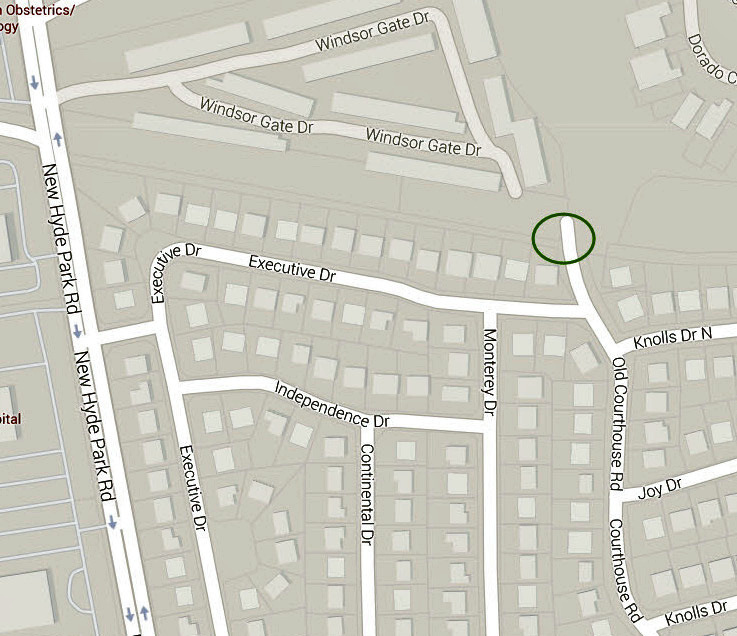 Suggested parking is on Old Courthouse Road, Knolls Drive N. and Executive Drive. 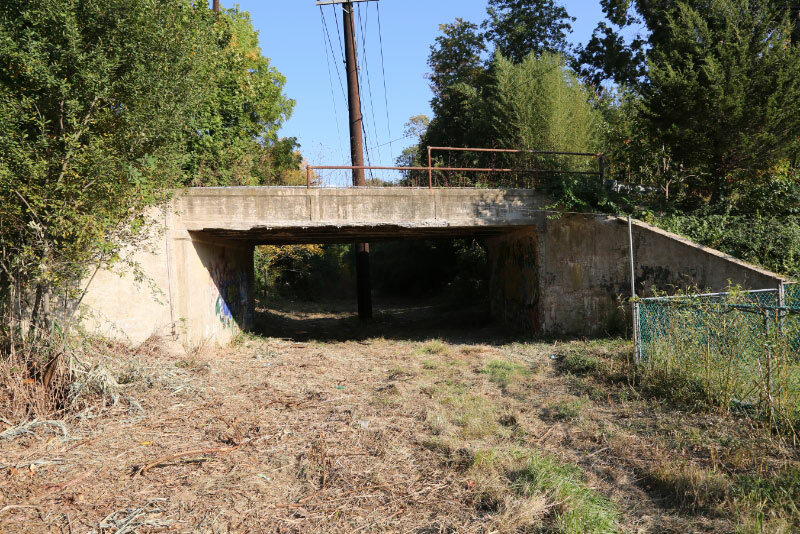 Please join us in this next step to restore and preserve this historic site. Gloves and trash bags will be provided. Please bring your small cutting tools. 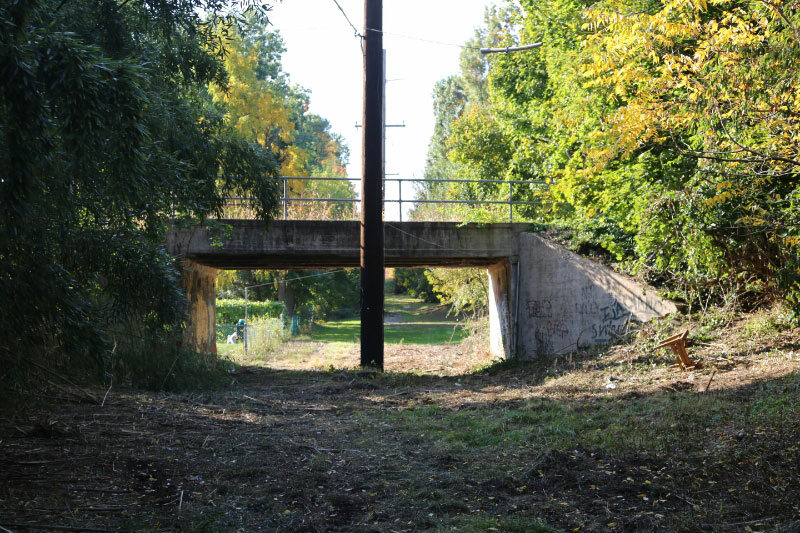 Earlier this month, PSE&G Long Island cleared the area beneath the bridge of debris and brush. For the first time in many years, the bridge embankments can be seen. This view is looking east. 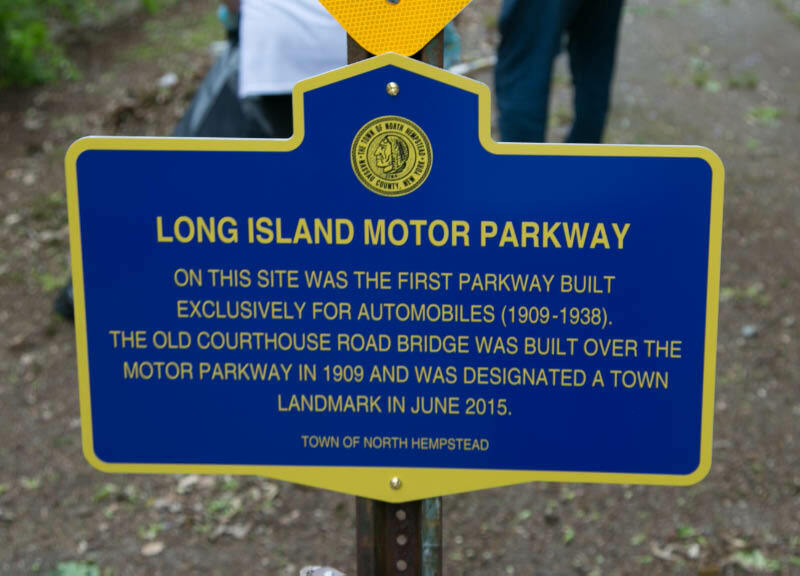 A section of the Motor Parkway pavement is seen just west of the bridge. 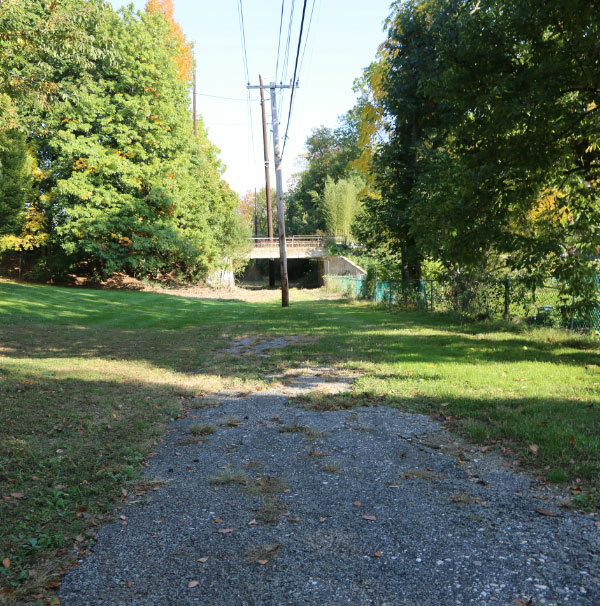 Current view of the cleared right-of-way looking west towards New Hyde Park Road. Mother Nature is attempting to reclaim the top of the bridge since the amazing May 2016 Clean-Up. It is planned to remove the grafitti from the bridge on October 29th. I will be there but will paint be supplied? I also have an anime club to attend later in the day. I would like to wear my Link outfit to this because I will have no time to go home and change. Link is the hero of the Legend of Zelda video games. I have moved to Massapequa and someone will be driving me there. I would like to get my uncle Ed involved in this. He lives in Little Neck and I will be asking him about it this week. 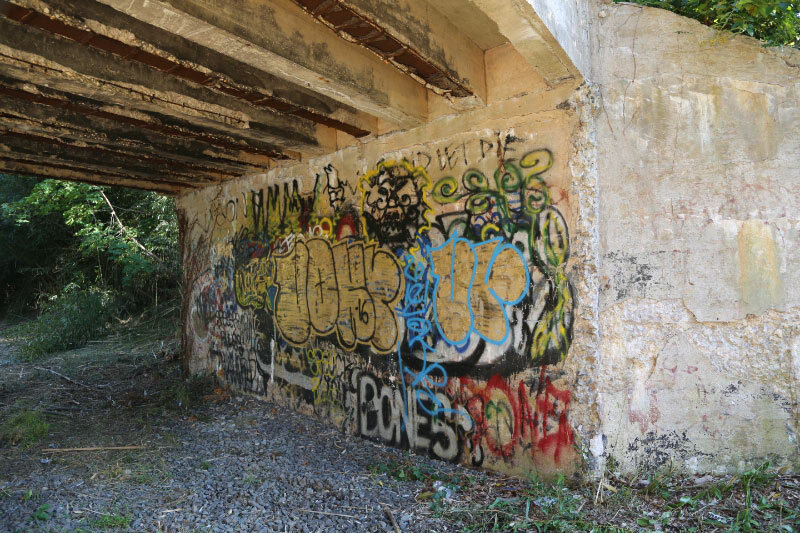 Chris, I expect that 95% of the graffiti will be removed from the bridge by next Saturday! Just a suggestion, Chris. Wear a paper suit over your costume? Painters use them. I’m sure Home Depot, etc has them. Their usually blue or white and zipper up like an overall. That way you don’t possibly ruin your costume.